Dragages Singapore enjoyed a good start of 2018. In January 2018, we received the award of contract from a new client – Garden Development Pte Ltd (a joint venture between Keppel Land and Wing Tai Land) to construct a residential development. The development comprises of five blocks, with a 15-storey building in each block which represents a total of 613 units. In addition, a raised landscape deck and two basement car park will also be built. 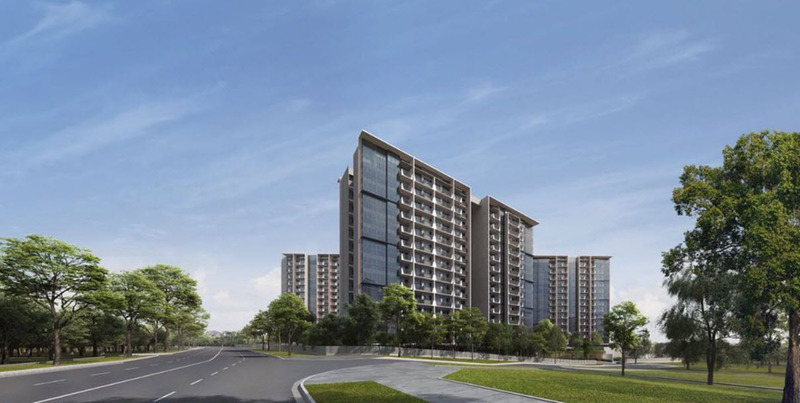 This new development is located between Serangoon Garden landed property estate and the Serangoon North Housing & Development Board (HDB) cluster, with close proximity to Hwi Yoh Garden and Serangoon North Avenue 1 activity park. Being surrounded by established amenities, the area is set to be a perfect location for private residential development. Riding on the success of our previous Prefabricated Prefinished Volumetric Construction (PPVC) projects – in terms of quality delivery and overall concept development, we elevate PPVC technique to the next level by using concrete PPVC method in this project to further enhance productivity. Such is also in line with Singapore Government’s direction to venture into Design for Manufacturing and Assembly (DfMA) construction developments. ADDP Architects, one of the biggest and reputable architect firms in Singapore, is responsible for the design of this development. ADDP is renowned for developing design which suit PPVC system.